Decorating your home for Thanksgiving can be easy and affordable. 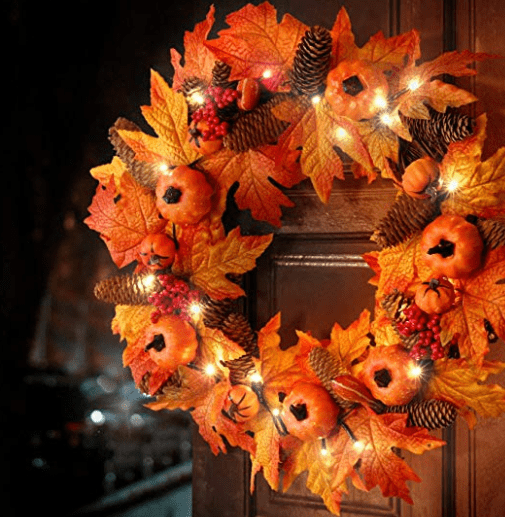 Use these DIY Thanksgiving decor ideas to spruce up your home this holiday season. Decorating for Thanksgiving adds an element of warmth and fun to your home for the holidays. The best thing is that you don’t have to go overboard or put a lot of time and money into decorating in order to make your house or apartment look festive. There are many inexpensive but fun ideas the whole family can create together. 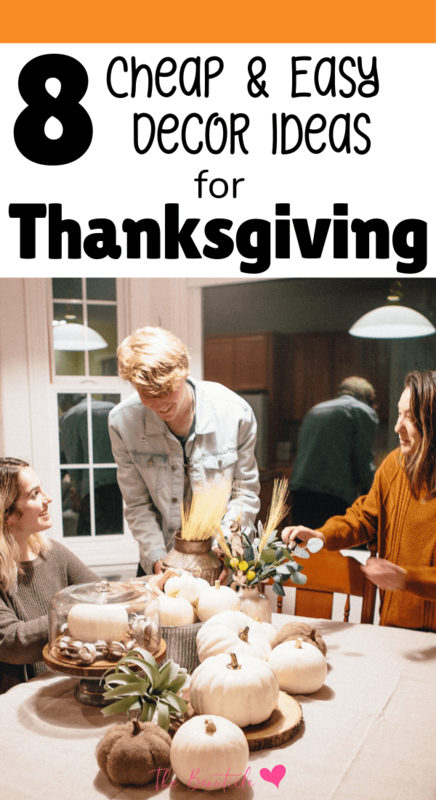 Lots of these easy Thanksgiving decorating ideas involve cheap decor from Amazon that can be delivered to you in less than two days with their Amazon Prime service. Get your 30-day free trial here so all your decor items will be delivered quickly. One of the easiest ways to spruce up your front yard is to decorate it with a homemade wooden scarecrow, faux turkey, whitewashed pumpkins or Happy Thanksgiving sign. For the scarecrow, grab some old clothes and some straw. Use a burlap bag for the head and top it all off with a hat. Get these cute yard scarecrows here. Check your local supermarket to see if they are discarding any of these packing items once they have stocked the shelves. You can create the sign out of wood or create a flag out of felt. For a little color, plant a few mums, either in the ground or in pots and planters around the outside of the house, or along the pathway or drive leading up to it. You can get a lot of decorating ideas at your local nursery. Nothing says the holidays quite like a door wreath. Harvest pine cones, chestnuts, acorns and more, and glue or wire them to a foam wreath form or a wooden one. Silk leaves and flowers mean you can use the wreath year after year. The one above ships quickly from Amazon Prime and lights up with LED bulbs for those who prefer to purchase than craft. The fall colors are perfect in this highly-rated wreath. Get it here. Add some autumn-colored throw pillows or blankets to your couch. These will last for years to come. Light a pumpkin-scented candle or plug in a diffuser with a spicy, scented fall essential oil blend, and your whole house will have that special Thanksgiving feel to it. 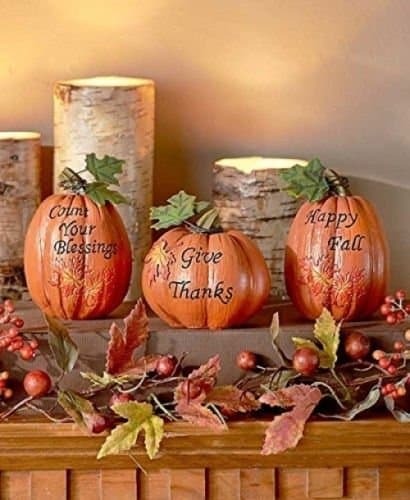 Inspirational table top pumpkin decor available here. The mantel over your fireplace is the perfect place to decorate for Thanksgiving. For a simple display, arrange some pumpkins or decorative gourds and/or Indian corn on the mantelpiece, along with a few candles. A fall garland or wreath is a nice touch above the mantelpiece, as well as on your front door. An attractive centerpiece can set the tone of any holiday table or buffet table. Stop by your local florist for some flowers in yellow, orange or brown, like mums. Arrange them in a vase along with some greenery. If you want to be practical and budget conscious, silk flowers will last for many years. Put them in a nice basket or cornucopia. Add ribbon, and you have a lavish display for a fraction of the cost of buying flowers and plants every year. Here are some other Thanksgiving centerpiece ideas. You can make a beautiful fall arrangement by setting out some miniature pumpkins and ears of Indian corn on your table or sideboard. Look for yellow, red, multicolored and purple varieties of corn for an authentic Thanksgiving feel. Scatter them across your dining table, or arrange them in a bowl for a nice centerpiece. And of course, there is nothing more gorgeous than a range of gourds. Keep them in a cool place and they can last for ages. Candles always add a warm feel to a room. 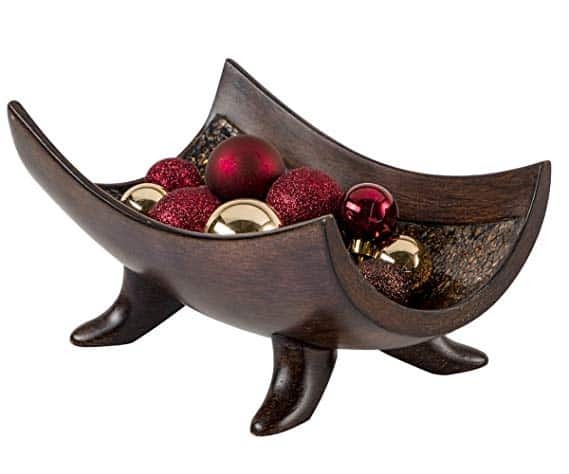 Pair them with displays of acorns, chestnuts and mini pumpkins. Try whitewashing a pumpkin (instructions below) to use as your standout centerpiece or for your front stoop. You can also use some construction paper to dress your pumpkin up as a turkey. If you have children, have them paint some designs on your pumpkin to make it their own. If you are planning on using pumpkins in your Thanksgiving décor, you will probably want to white-wash quite a few of them. This allows you to have some white pumpkins instead of all orange ones for more decorating ideas. Here are some simple instructions to follow so you can white-wash your own pumpkins. To start with, it is recommended that you paint the pumpkin black. If you leave it orange, you are going to have to use a lot of coats of white to cover the orange color. If you don’t mind simply fading the orange out for different shades, leaving this step out might be okay, but for a white-washed pumpkin that works with chic décor styles, starting with a black pumpkin is best. Cover the pumpkin in black paint, then let it dry. Acrylic paint that you get at craft stores or Amazon works fine on most pumpkins. You have two options for white paint; you can either use white acrylic paint or go with a white chalk paint. This is similar to chalkboard paint, even though you aren’t actually using it as a chalkboard. The reason some people like to use a chalk paint is because it naturally gives that old and worn look without even trying. Either way, you want to add the paint with a sponge brush or paintbrush. 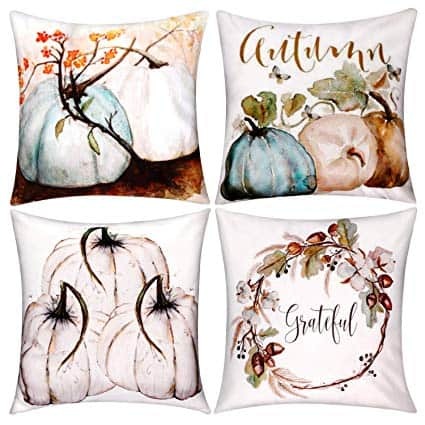 For a distressed vintage look, go with uneven strokes or patches making sure the coats are a little uneven and don’t completely cover the black pumpkin in white. This is when perfection is not something you are going for. You want it to look old and distressed, so don’t worry about having perfect painting strokes. If you want the finished pumpkin to still look similar to a real pumpkin, you can try making it shiny by adding some Mod Podge. Wait for your paint to dry, then cover the entire pumpkin in a layer of Mod Podge. This will dry completely clear, and leave behind a smooth and shiny sheen on the pumpkin. It will still have the solid or vintage look, but will now have more of a natural pumpkin appearance as well. If you used a plastic pumpkin for your painting, you can remove this stem and replace it with one made of wood. You can either look for a wood stem at the craft store, or use a branch or twig from your lawn to add a rustic feel to your pumpkin. Use these ideas as is, or let them inspire you create your own inexpensive Thanksgiving décor.